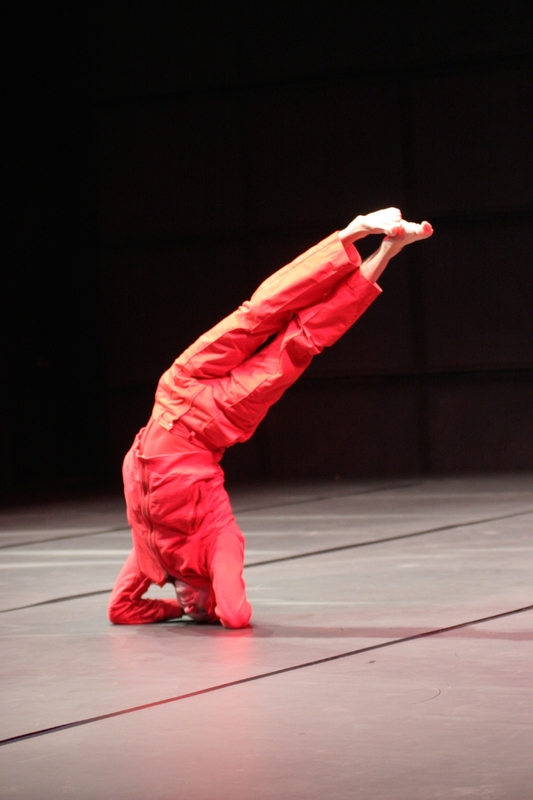 INCORPORER is the first chapter or ‘accompanied solo’ in a series of four which the starting point is the performance Éclats mats, a piece for three dancers and a viola player, created in 2011 and revived in 2005 at the Centre Pompidou in Paris. After creating Éclats mats, I chose to isolate the performers on the stage to go deeper into the exploration of the corporeal matter and bodily states, the occupation of space and the relationship to time that I had established in the 'mother'-piece, this time conceiving a research and creation project to be developed over a period of six years. INCORPORER, initially conceived for Vincent Druguet, has been transmitted to Sylvain Prunenec in 2007. In terms of form, the project consists of a series of solos that are not as they appear, as they could just as easily be duets, trios or quartets. No chapter is what it seems. They have the particularity of being 'accompanied solos', expressed through a game of relay where the principal actor of each chapter cedes his/her place to one the accompanists for the following chapter, who is in turn accompanied by someone else. By choosing and distorting the form of the solo, I wish to explore the solitude staged in Éclats mats in greater depth, sometimes by accentuating, sometimes by attenuating. The chapters, created separately, are progressively assembled to form a whole, growing larger with time. Each new chapter requires the reactivation and reconstruction of the former ones, those that precede and accompany it through its different phases, as it integrates itself to its sequel, transforming and developing throughout the process. The titles are arranged consecutively, which not only generates the title of the entire piece, but also defines the action developed in each phase.